May is Electrical Safety Month. Being aware of potential electrical hazards is the key to reducing home electrical fires, injuries and deaths. The top electrical safety hazards are electrical fires caused by aging wiring; incorrect use of extension cords and surge protectors; and electrocutions. Research by the U.S. Consumer Product Safety Commission (CPSC) indicates that electricity causes over 140,000 fires each year in the US. Electrical fires result in 400 deaths, 4,000 severe injuries, and $1.6 billion in damage to property. Most of this is preventable. About half of the homes in the US were built before 1973, and about a third of them were built before many of our modern electronic devices were even invented. These homes and their electrical systems were not made to handle the power needs of many of the appliances and electronics that we use today. Extension cords are never meant to replace permanent wiring. 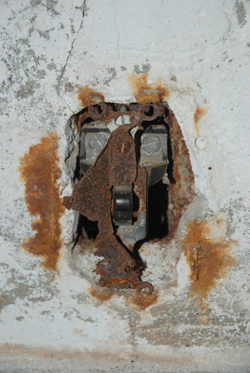 Having an electrician add another outlet is a lot less expensive than dealing with a home fire. Although half of injuries caused by extension cords are due to tripping over them, improper use of extension cords causes 3,300 home fires each year in the US. About 400 people are electrocuted in the US each year. Approximately 180 of these electrocutions relate to consumer products, with large appliances such as stoves, refrigerators, and washers and driers leading the causes. Other electrocution hazards include damaged or exposed wiring, ladders contacting power lines, and power tools with frayed cords or contacting water. Take a virtual home tour where you can watch videos and click on items in various rooms to learn about dangers and safety tips. 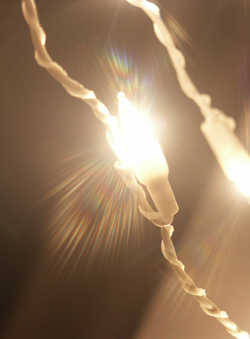 Think about potential hazards and live safely with electricity, in May and every month.